Working with you to solve our Growler problem. Our mission is to protect the health and welfare of the inhabitants of the region, including the marine, migratory and endangered species, and to preserve the historic northwest communities being threatened by military jet training flights. 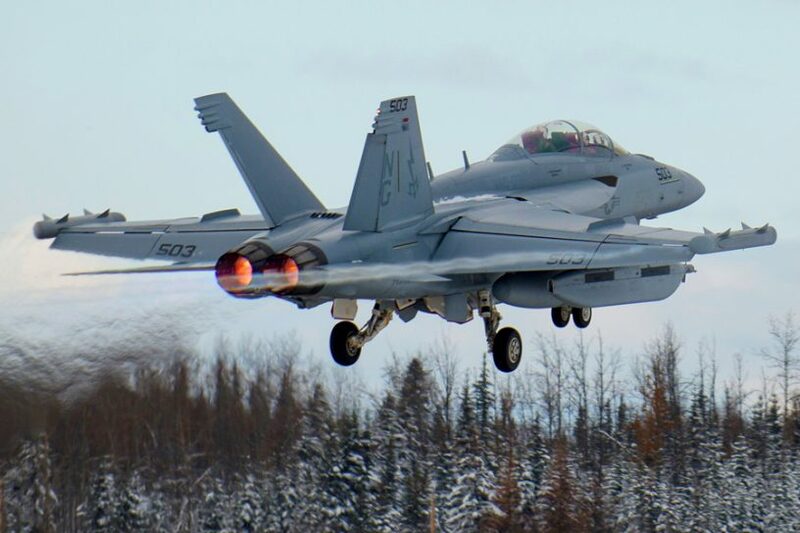 The Environmental Impact Statement for the new Growler jets indicated 'Finding of No Significant Impact (FONSI.) COER increased public awareness of this, and what it would mean to the community. We sent an official demand to the Navy to conduct a proper EIS with current, honest flight expectations, and actual noise measurements instead of outdated estimates. Since the EIS hadn't bothered to include actual noise tests, we hired JGL Acoustics to find the real numbers. We publicized the results of the "Lilly Report" - which were much higher than Navy estimates. We filed a lawsuit with the District Court against the Navy. Flights stopped for the rest of the year. Flights resumed, and the Navy made a request to drastically increase their training operations. COER responded publicly, informing other government agencies and communities affected by the proposal. 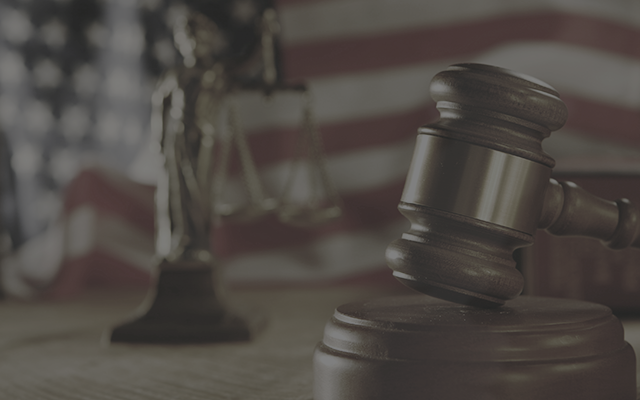 We filed for a preliminary injunction to stop training flights until a proper EIS was completed. 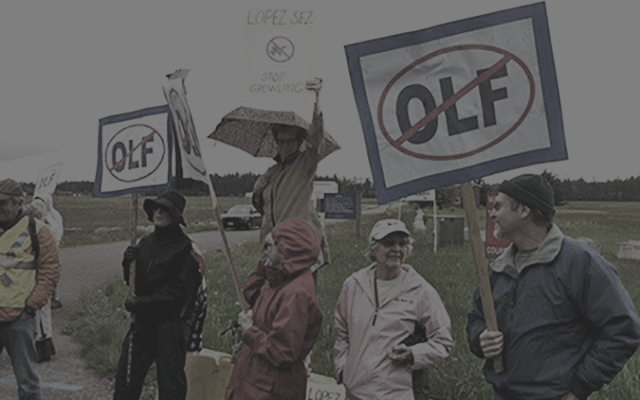 We joined other grass-roots groups to resist the new Growler expansion plans. Our next push in the courts is coming - our fight is far from over. Our location in the Puget Sound is rich with environmental and historic National Treasures. Help us defend its wonders for future generations. COER anticipates moving forward on a NEPA challenge to the Navy’s final EIS. 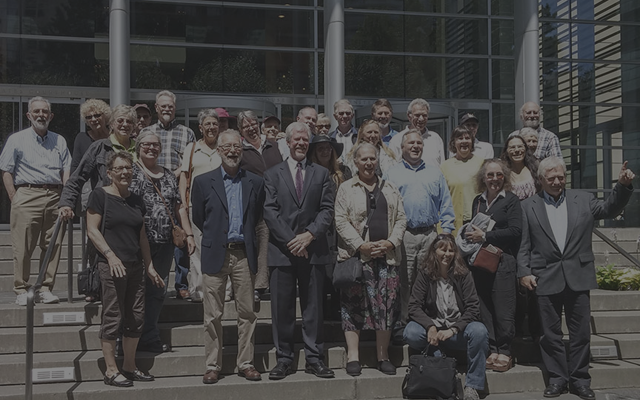 Since the Navy is a federal entity – we must challenge them in Federal Court, in Seattle. The more success we have – the more costly it will be. We are raising money for not just the initial lawsuit, but to create an Appeals fund so we are able to go all the way with this battle. We always need high participation in public meetings, protests, and comment submissions. Learn how to contact your Representatives and how to get their attention. Find an upcoming event or other opportunity to represent the concerns of our friends and neighbors. Sometimes it seems like one person has no power to change anything. Joining a group of people with the same goals can amplify your voice and give us all the strength to affect change. But a nonprofit group cannot survive without the help of members to manage necessary tasks. Opportunities range from serving on the Board to helping with mailing campaigns, with just about everything in between. Do you have a skill or just time to offer? We would love to speak with you.